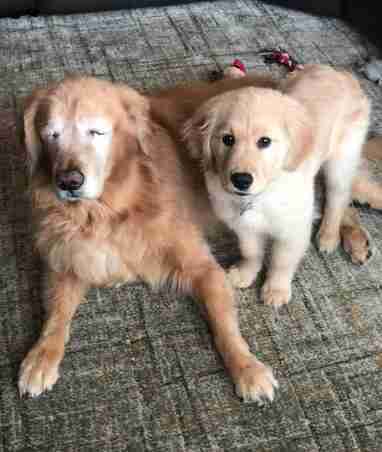 A few years back, Charlie's world went dark after he had both eyes removed as a result of glaucoma. He seemed to cope with the sudden change quite well day to day, though he nevertheless began to slow down and be less excitable. Recently, however, Charlie's spirit has blossomed anew in the light of a new love. 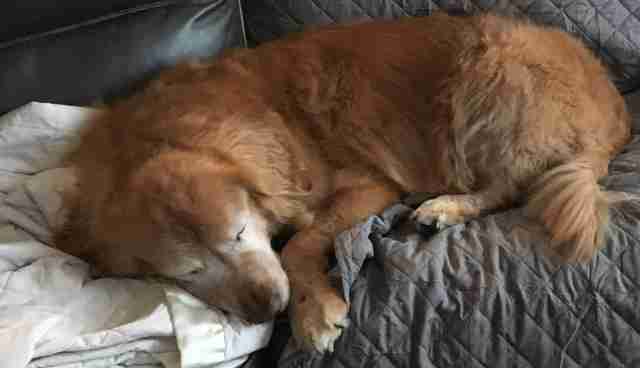 Charlie's adoring owners, Chelsea Stipe and her husband, could tell he was still a happy dog, but suspected he'd benefit from having a canine companion in his twilight years. And they were right. 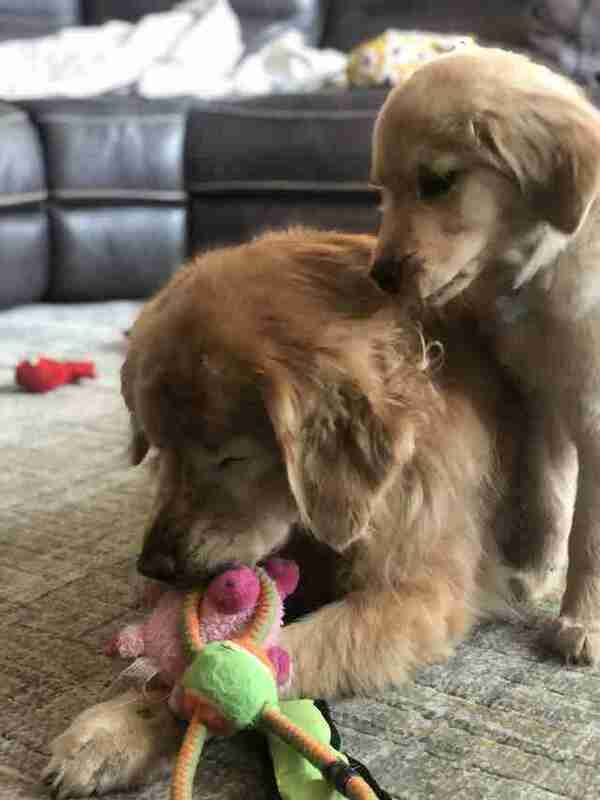 The two dogs quickly became inseparable friends — the younger's energy and enthusiasm seeming to inspire the same in the older. "Charlie has definitely been more playful and puppy-like since Maverick came around," Stipe told The Dodo. "We’d buy him toys and he wouldn’t think about playing with them. Now, they’re just constantly playing with each other." "He knows Charlie is different," Stipe said. "He’ll put toys in front of him. He’s very aware, when Charlie starts to move, to be on the lookout for him. 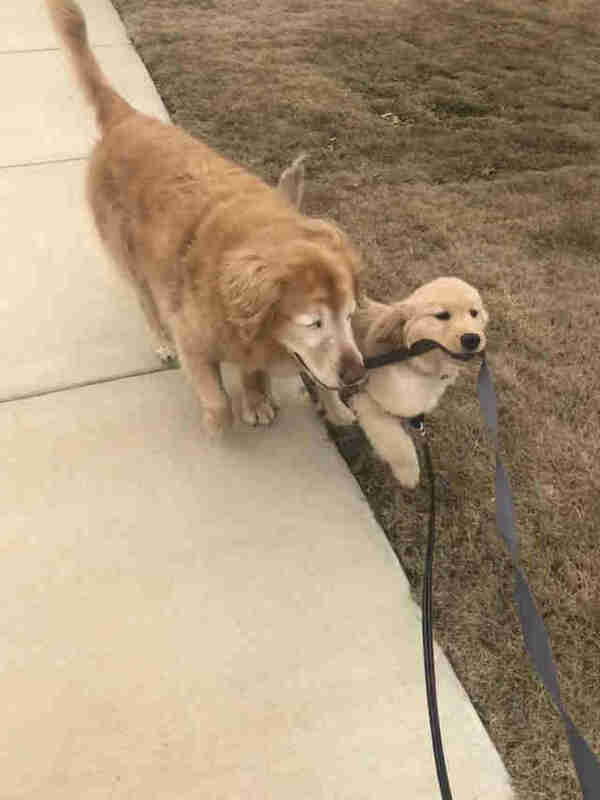 When they walk together, Maverick helps keep Charlie in line." 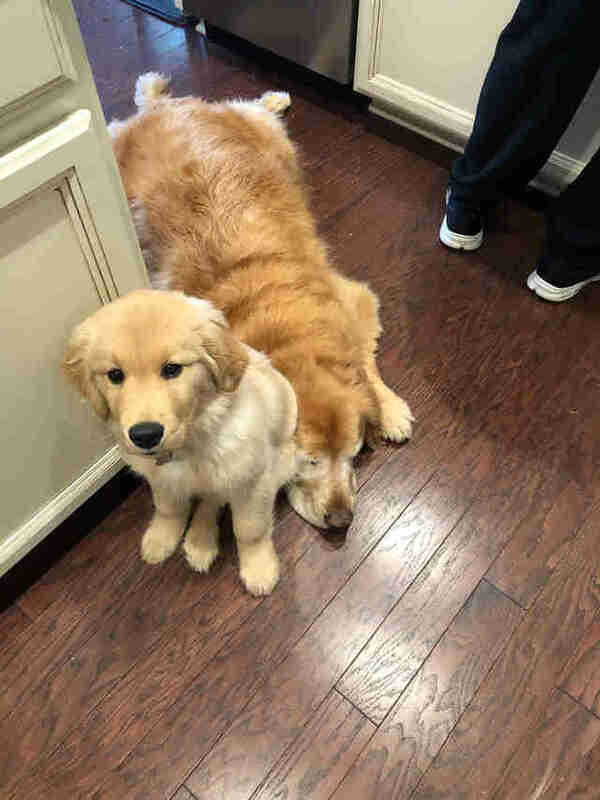 Maverick will often rest alongside Charlie, too, as if just to reassure him that he's not alone. 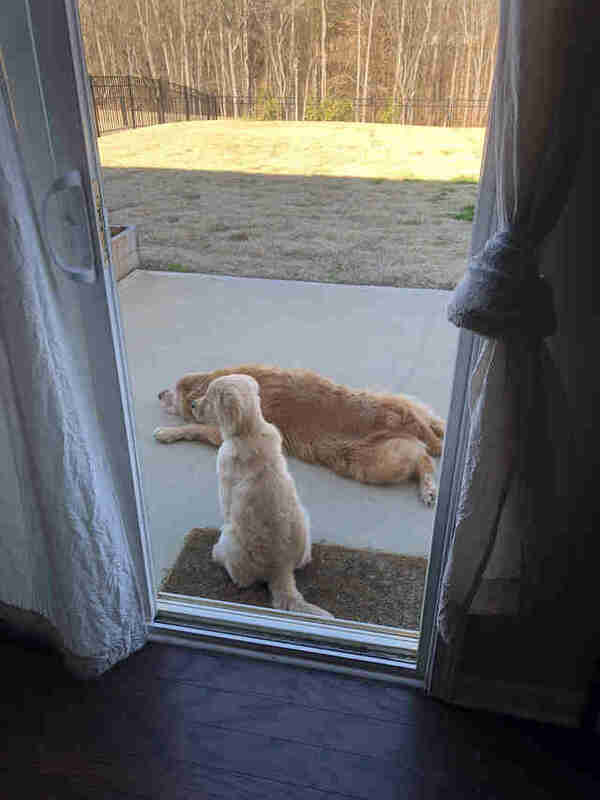 Charlie and Maverick may be different, but it clearly hasn't hindered their friendship. If anything, it's made it stronger. "It's amazing. They’re just such a great combo," Stipe said. "They’re always together." Nothing could ever completely turn back the clock on Charlie's life, of course (nor, given all those happy years, would anyone want to). 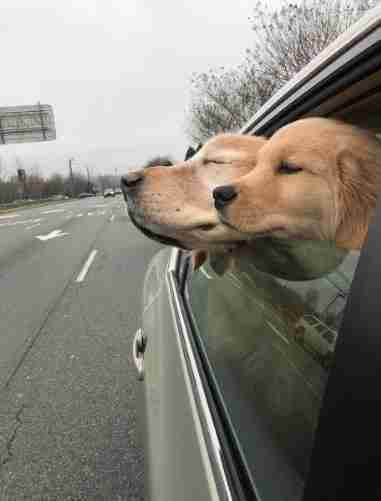 Maverick, instead, has shown that joy and happiness still lie ahead on the road they're now on together. "Charlie’s an older dog. We used to think we could lose him any time," Stipe said. "But now, with Maverick, it’s like he got this jolt in him, this zest for life again. If he had eyes, I know there’d be a twinkle in them."